Through years of commitment in Accra, Projects Abroad has established a stimulating project in a safe environment. 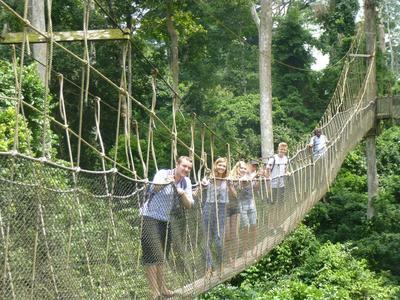 As a former British colony, Ghana is an English speaking country which will provide your group with a wonderful introduction to Africa. Football is arguably the national sport of Ghana. It unites communities and provides hope for many. Following the success at the 2010 World Cup, the football culture is set to get bigger, with more Ghanaians wanting to get involved. 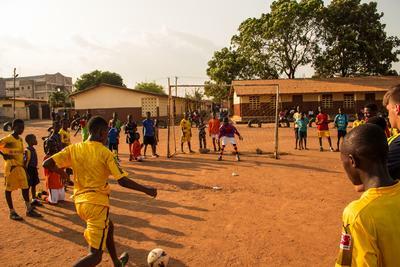 Unfortunately, the lack of infrastructure and investment in football within Ghana means that many children aren’t given the opportunity to play. 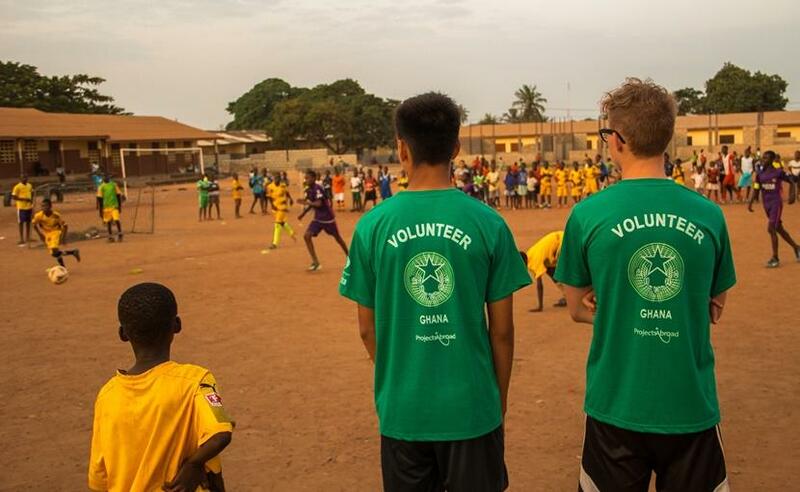 With the combined effort from groups and Projects Abroad it is our aim to aid this issue by giving Ghanaians the opportunity they deserve by providing the coaching, equipment and knowledge they need. The project has a range of fulfilling activities for your group. In the mornings, your group will take part in a training session with the senior team followed by a meeting with local coaches to devise a training plan for the youth team in the afternoon. In the afternoon, you will be working with the youth team, coaching them to the best of their abilities. Towards the end of the group project, a 6 a-side tournament will be held where by each volunteer selects a team and is responsible for coaching their team to victory. 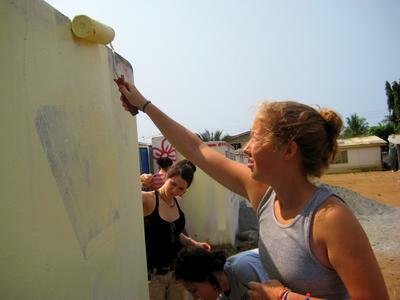 To enhance the volunteering experience, your group will be given the chance to partake in community activities which often include painting and helping out at local schools. Other activities might include helping out a local community with rubbish clean-ups, teaching or hosting cultural events.